Top 5 Football Apps For Your iPhoneEnable YouTube’s Transparent Player With This Simple TweakHow To Share Screenshots Using Dropbox Instantly And EasilyExplained: What Is Corning’s Gorilla Glass? Truecaller is one of the top 10 apps I’ll install on every smartphone I use. This app helps me a lot to avoid unwanted marketing and nonsense calls. Also, I don’t really have the habit of saving not-so-close contact phone numbers. But sometimes I see incorrect names in Truecaller, like my friend’s name, has spelling mistakes or has some funny nicknames. They felt bad about it and used this option to fix it. It took some time, still, it was the direct official way to change your incorrect name in Truecaller. First and foremost, if you are not sure whether your name is displayed incorrectly on the Truecaller database, then you can simply head to truecaller.com (login) and search for your mobile number. If the number is in the database, it’ll show these details below. If your name is correct in this search result, then well and good, if not you need to change them immediately to avoid further name issues. If you look closely at the screenshot above you can see a verified badge icon, it helps a lot to increase trust and keep the correct name. Learn more about that here. Now to change your incorrect name, go to their “Name Suggestion” page. Enter all the correct details on this page and submit. Truecaller will manually review your submission and change it as soon as their verification is over. 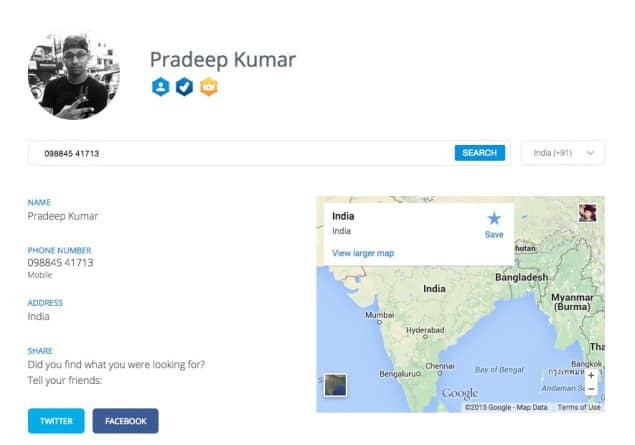 @Truecaller @SPradeepKr Thanks for sharing ur views. But what if that person doesn't have Truecaller installed or doesn't have a smartphone? 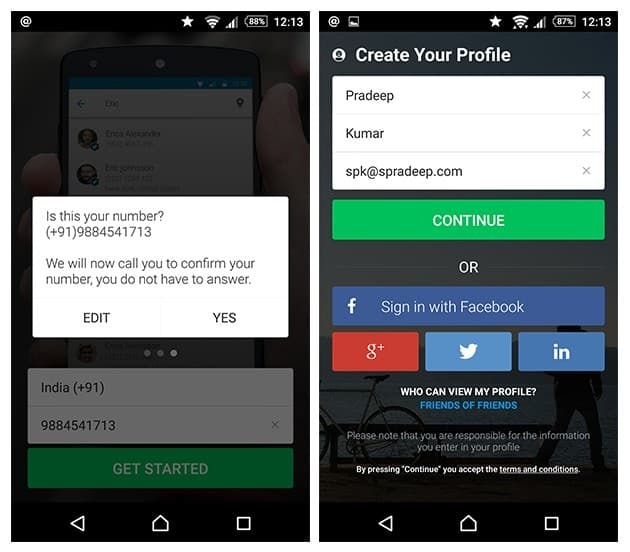 You can also fix this by directly installing the Truecaller app and verifying your number. This is the simplest method but then you have to install the app. 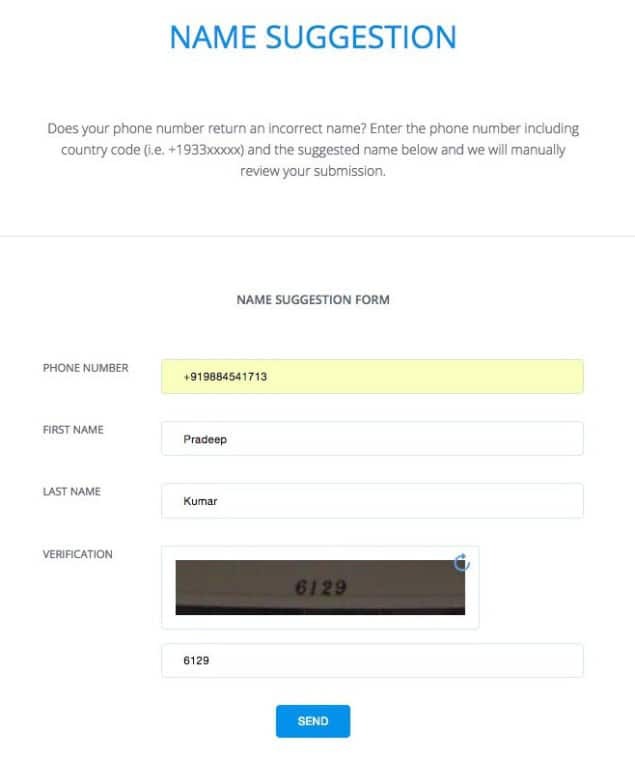 You can enter your name and other details into this app, so this will override your existing details in their database. Truecaller is a complicated tool, it is more like a fire I would say, you can either use to warm or burn you. So just be careful whenever you use this. Heard that Cyanogen and Truecaller are teaming up to provide an advanced dialer, looking forward to seeing that. If you have any issues with the steps mentioned or if you want to ask any other queries, do let us know in the comments below.